Dear Maxime, thank you for taking the time to share some insights about the Global LiFi Congress. Can you quickly introduce yourself? What do you do and how did you come to be involved in this project? I am the project manager of The Global LiFi Congress. My job is to organize this international congress and develop its notoriety. We were involved in this project after having exchanged with many LiFi actors, scientists and businesses. Personally, I am passionate about new technologies and global events, so this project immediately appealed to me. Can you summarize in a nutshell what is so special about the LiFi Congress in particular? The Global LiFi Congress is a special event because of the growing popularity of LiFi technology in recent months. It will bring together major international players in many sectors, making it a unique event. What is the main goal of this conference? What do you want to achieve in the long term or regarding the big picture? The main purpose of this congress is to bring together all the scientific and business stakeholders in LiFi in order to enable them to realize the immense promises of LiFi. It is essential for the people involved in LiFi to have an exchange of perspectives in order to ensure that everyone moves in the same direction. This is the goal of The Global LiFi Congress. What triggered the founder to initiate such a congress? Is there a particular story behind it? The setting up of the congress was precisely triggered by the necessity for the scientific and business world of LiFi to come together in order to continue and expand the development of LiFi technology. It is essential that these actors all agree on standards and decide together on ways to invest in LiFi. LiFi is a new technology that uses visible light communication. What is the big advantage compared to existing communication technology? LiFi has numerous advantages over traditional wireless communication technologies. Nevertheless, if we have to remember one, I think we can emphasize the fact that the LiFi does not use any radio frequency waves to transmit digital data. As you know, LiFi uses the light spectrum. This method of transmission makes it particularly possible to propose a solution to the wave saturation problem expected for 2023. More advantages include its lack of interference on the health of people and it can be used where radio waves are prohibited. Does it build upon another established technology or is it a completely new concept? Even if it is part of the Visibile Light Communication family, LiFi technology is a totally new concept, using a technology never used before, utilizing LED bulbs exclusively. For which area does LiFi hold the biggest potential? What are the most promising use cases? Thanks to the many advantages of LiFi, there are many instances where the LiFi brings real added value and therefore represents a very strong potential. For example we can talk about the capacity of LiFi to be integrated very easily in indoor environments, Since there are already well existing extensive lighting networks within our homes, offices, and place of business, LiFi technology will use this already pre-existing network to be installed, as such all sectors do stand to benefit immensely from LiFi technology. In addition, since the accuracy of LiFi geolocation is accurate up to one centimetre this allows many indoor environments such as shopping centres and supermarkets to offer many new services to their customers such as direct guidance to where certain products are located. Additionally, blind people will finally be able to be guided very precisely within subway networks. Is the technology already applied? If yes, who are early adopters and in which context is it used? LiFi today is a technology that is completely ready to be used and is totally functional. Europe is ahead with regards to this technology and in France, LiFi has already been installed within hospitals such as the cardiology department of the Stell clinic, Ile de France. Museums, metro stations and some street lights within municipalities near Paris have already started using LiFi. In what way can LiFi foster the development of Smart Cities? For the development of Smart Cities, LiFi is essential. 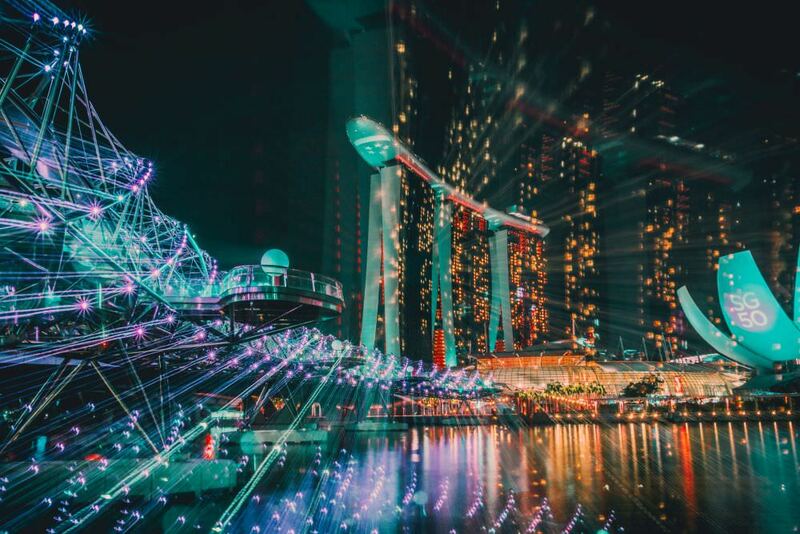 Smart Cities will grow thanks to permanent connectivity and the development of the Internet of Things. These connected objects use radio frequency waves to transmit digital data, which accelerates the problem of wave saturation. It is therefore essential to offer a complementary technology that will decrease the use of radio waves. When the maximum saturation level of radio waves is reached, connections are no longer possible between different connected objects. This can be seen today in football stadiums, at concerts, or at New Years, when too many devices are using these waves at the same time. The problem of radio waves is that the spectrum is limited, unlike the light spectrum, which is virtually infinite. What needs to be done to establish LiFi as a technological standard? For LiFi to become a technology used in everyday life, we need all the potential players (manufacturer, telecom, LED sector, etc.) to invest at the same time in order to democratize the technology. The Global LiFi Congress addresses this major issue and therefore will hold the solution to this problem for all actors. This congress is essential for the proper development of this technology. How do you perceive the current situation of smart cities and the Internet of Things? Are we on the right track or do you see certain obstacles ahead? I think the situation of Smarts cities and IOTs is excellent. In recent years, we’ve seen strong growth and expansion of these objects, which are increasingly becoming part of our daily lives, the number of which is projected to reach 75 billion by 2023. Nevertheless, as I mentioned previously, there is a major obstacle for the development of this market: the wave saturation. This problem could jeopardize the development of the IOTs if we do not find a complementary technology that does not use radio waves. As you can see, the LiFi responds precisely to this need. What will our life in smart cities look like in 5‚ 10 and 25 years? With the proliferation of connected objects, they will be ubiquitous in our daily lives in the years to come. Whether in cities, in houses, all the objects that surround us will be directly connected to our smartphones, which will enable us to manage all of these things remotely. Connected objects, with their many different functions, will allow us to facilitate our daily lives. Will LiFi change the overall career opportunities in the smart city sector? It is obvious that thanks to the birth of the Smart City and more generally thanks to new technologies, new professions are emerging. It is true that we also are seeing trades disappearing with the emergence of new technologies, particularly automation and artificial intelligence. Nevertheless, we must view the arrival of these new technologies as a chance to discover new professions. The essential point is to adapt to these changes as quickly as possible and to anticipate these new needs. What skill sets are necessary for someone to work with or advance the LiFi technology? The skills needed to work in LiFi technology are quite varied. Indeed, it all depends on which sector one is interested in. LiFi is a technology that can adapt to the needs of many sectors. For example, LiFi manufacturers need specific skills in the design of the technology. But in sectors like telecommunications, transport, Smart cities, etc. the skills won’t be the same and are specific to each sector. What are general characteristics and skill sets someone should bring to the table trying to have an impact on Smart Cities, the IoT and technological advancements in general? What traits do you deem most important to successfully move into the IoT/smart city sector as a university graduate, startup entrepreneur, or job seeker? For this question my answer will be similar to the previous one. Everything depends again on the sector because the skills required can vary enormously. Maxime, thank you very much for these insights! Maxime Dubois is the Event Project Manager of the Global LiFi Congress. He studied International Marketing and Financial Management at the Paris School of Business and has extensive experience in Marketing. He is now responsible for organizing this international congress and develop its notoriety.